Hell yes, and he dosen't even have dental problems. I eat one Cioccolato and worry about gaining five pounds but not him! Your Kidding??? te should be the happiest girl in the world! 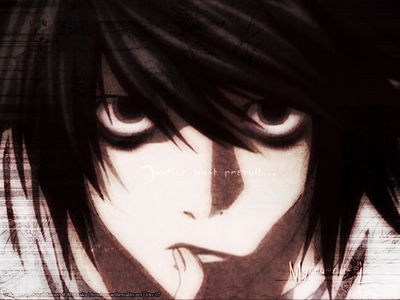 I would Amore it if my boyfriend would be like L! Weird in a good way! I mean, that's almost creepy closeness. But, then again, who (at least Death Note fans) wouldn't want to data L? te ARE THE LUCKIEST GIRL IN THE UNIVERSE BE HAPPY te FOUND SOMEONE LIKE L! THE CHANCES OF SOMEONE BEING THAT SIMALAR TO L IS 1 IN A GIZILLION! IT'S NOT AT ALL CREEPY IT'S A MIRACLE! !